Mother’s charm bracelets make wonderful gifts, whether it’s Mother’s Day, a birthday or just because! 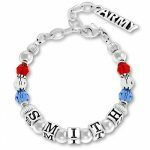 If you’re searching for a gift for your mother, Charm Factory creates mother charm bracelets that can be personalized to make a truly unique gift. Charm bracelets reflect the personality of the wearer and make heartfelt gifts. 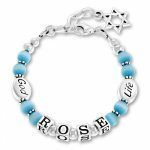 Mother charm bracelets come in a variety of styles. 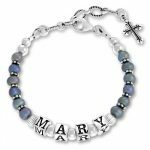 You can customize your bracelets with beautiful beads, names, birthstone colors and engravable charms. Each .925 sterling silver bracelet closes with a clasp, toggle or magnetic clasp. Mother charms, religious charms and sorority letter charms are popular choices. We also provide silver tone bracelets and bracelets with magnetic clasps for those who have trouble closing traditional clasps. Mother daughter bracelets are a wonderful way to celebrate the bond that you have with your mother. 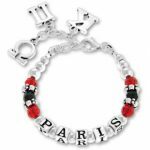 You may choose matching bracelets, or bracelets that feature your birth stone colors and names. With more than 5,000 charms to choose from, we have everything you need to make a unique mother daughter bracelet! 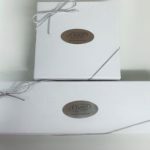 If you’re searching for the best gift for mom, Charm Factory has it! We have a stunning inventory of sterling silver and silver tone jewelry. From beaded bracelets to book-inspired charms, there’s something for everyone at our online jewelry store. Shipping in the USA is fast and it’s FREE on orders over $25. When you place your online order, our system receives it immediately—sometimes we can even ship on the same day. Order online now, or for questions contact us to speak with a knowledgeable member of our staff! 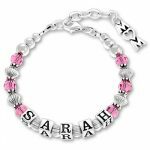 Show Mom how much you care and order your mother daughter charm bracelet online from Charm Factory today!